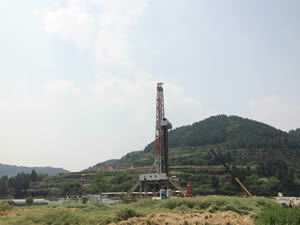 Manage Back Pressure in Cementing Job on Unconventional Horizontal Well | www.vertechs.com | Vertechs Oil & Gas Technology Co.
Onshore horizontal well of 5,530m TD with cement interval (0-5530m) at Sichuan Shale Gas. Due to narrow window between ECD and fracture pressure, significant mud loss encountered and background gas presented during the whole production section drilling. Aging of chemicals: stored mixed fluid on rig over 24 days due to downhole complexity. Multi-FIT Cement System with EO10 elastoplastic additive. 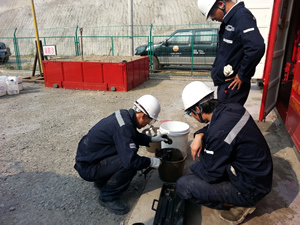 Annulus clean up procedure for enhancing borehole clean up and coping with potential losses. Retest the cement slurry after extensive delay and cement properties meet requirement before operation. Manage back pressure on annulus during whole cementing operation. Shut in annulus immediately upon bumping plug. Oil-removal Spacer was utilized to enhance cement bond between formation and casing. Cementing job was successfully accomplished with no losses and plug bumped as designed.